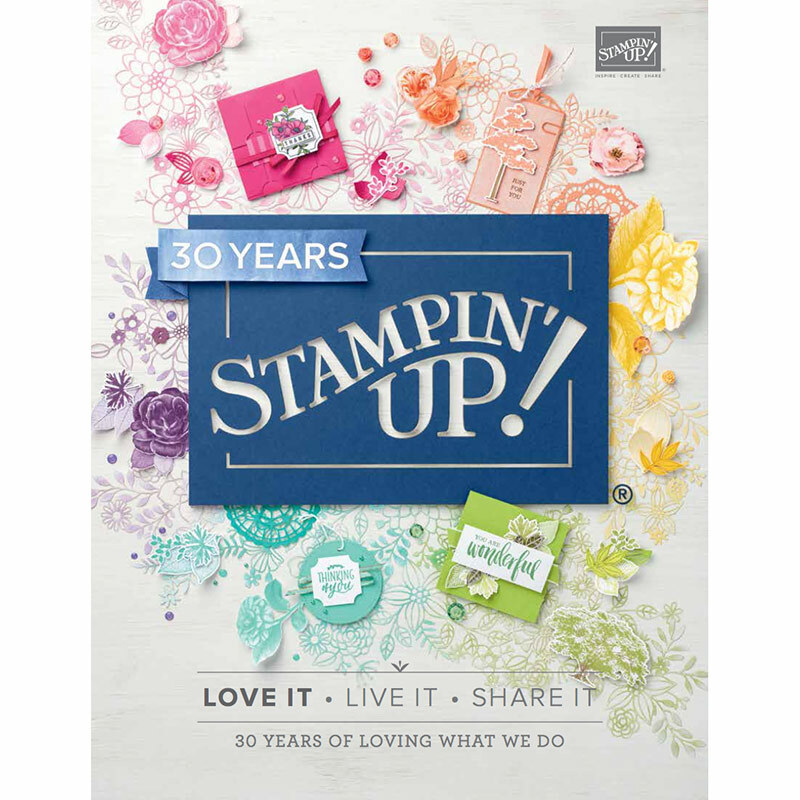 Today I bring you another AWHT blog hop with some of the awesome ladies in the Art With Heart Stampin’ Up! Team. Today our focus is on Easter! If you place an order with me during Sale-a-bration, you can choose a free item with every $90 you spend in one transaction. There are lots of fabulous free items to choose from (ask me for a brochure and an Occasions Catalogue) and the promotion will end on 31st March. When you join during Sale-a-bration, you get to choose whatever you like from our catalogues, but pay just $169 for $235 worth of product (that’s a huge discount!) but also you get to choose between two free product options. It’s quick and easy to join online too. Ask me how! You have come to my blog from Tamie Holt. 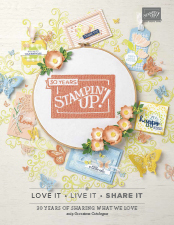 Now let’s get into showing you what you can make with the Indescribable Gift Stamp Set from the Occasions catalogue. For my projects, I have used the Indescribable Gift Stamp Set, and the In Colours Designer Series Paper Stack. I have used Blackberry Bliss as my card base. I die cut the largest of the Deco Labels Framelits from the front of the card. I used a piece of Vellum and stamped the Indescribable Gift image with Stazon Black ink and let it dry, before colouring with the In Colours Stampin’ Write markers (Blackberry Bliss, Mossy Meadow & Baked Brown Sugar). The next step, I used my Stampin’ Piercing Mat and the Simply Scored Stylus to gently go around the flower petals on the coloured-in side. When you turn the image over, you can see the white shining through where the stylus has touched the vellum. I glued the vellum to the inside of the card and put a piece of DSP (with the same size die cut) over it to cover the crooked edges and make the inside more attractive! I finished off with a coordinating ribbon bow and the sentiment from the same stamp set which I die cut with the Bitty Banners Framelits. I also made some cute little baskets for my girls to give to their friends for Easter from the same coordinating Designer Series Paper! How cute are they?!!! These are only small and I cut some small strips of cellophane to put inside before adding 3 little solid eggs. I think the girls are going to love giving these to their closest friends. Let’s keep this blog hop hopping. Next up we have Sue Wdowik. Thanks for visiting today. Don’t forget to email me at craftwithkate@live.com.au to get a copy of the Occasions Seasonal Catalogue or Sale-a-bration brochure, or to enquire about joining the Art With Heart team. Tagged Blog Hop, Deco Labels Framelits, Easter Basket, Handmade Easter Card, Indescribable Gift, Stampin' Up! Ooh a card with a window in it – nice idea! and love your little baskets. Great card and colouring, but love the cute little basket the most. A great matching set but the basket is my fav. Kate, the card is beautifully elegant, and the baskets are just adorable!